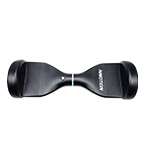 3.6Kg lightweight skateboard portable with handle design. 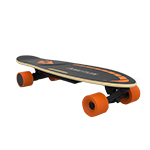 It is the first electric skateboard, created by INMOTION team. 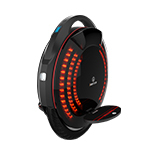 lightness、small、portable, as a personal transporter company with you, also to be a stunning fascinating toy. Strong shock absorption and wear resistance PU wheels! Application of 70mm high elasticity wheels enhances wear and crushing resistance. Safety and stability are improved significantly. Enjoy the perfect combination of feet and skateboards. 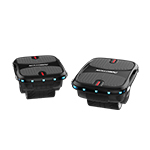 Standing on the left side of the board when it is turned on, place your right foot on the front of the board, kicking the floor by left foot to move forward and get a minimum certain speed of 4km/h, then placing your left foot on board sensor area to get persistent power-assist. Innovative sensor controlled, functioning without a remote control. Thin-film switch has the advantages of well-structured, good looking appearance and wonderful sealability etc, which at the same time with better ability to prevent from water, dust, oil and damp. They are generally more durable and last longer. A innovative combination of thin-film switch and electric skateboard creates a whole new way of skating. Free your hands, the only thing to do is enjoy the cheerful experience from the feet-board interactive. 6 layers of Canadian maple and a layer of bamboo fiber. The footboard is made of 7 layers mixed board -the high grade Canadian maple and bamboo fiber, with high-tech process. Canadian maple has better elasticity and tenacity, produced by hot-pressing technology, Epoxy resin bonding, fully ensure the safety of riders but also with exquisite processing technics. Huge power comes from small structure. 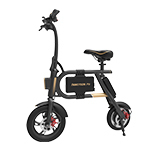 Strong power of K1 comes from the brushless permanent magnet motor, which is built-in the rear wheel. It is small but it takes a crucial role of part as a heart of K1. It is customized with magnetic core coil and fulled with imported coiled silicon steel sheet, to ensure the stable torque output. The best energy supported partner for the lightest skateboard. K1 is designed to be light and portable, nevertheless decent performance is always our priority. 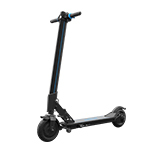 A customized battery pack is equipped, Up to 5 times at the rate of sustained discharge ,to guarantee a portable skateboard with strong enough power supported. * Note: the above pictures and effects are for reference only. The specific effects are subject to material. The above product parameters are for reference only. In view of the user's mode of use and the use of the environment, the specific performance should be subject to material.